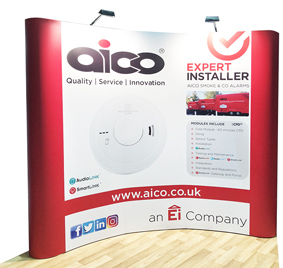 The domestic fire and carbon monoxide (CO) alarm manufacturer Aico is exhibiting at, and sponsoring, TAI 2019 – an event by the Chartered Institute of Housing, on May 1 and 2, at Sophia Gardens Arena, Cardiff. A Chartered Institute of Housing (CIH) event, TAI 2019 offers speakers and specialist workshops based around this year’s theme: our homes, our people, our future. This theme addresses the importance of listening to those with the expertise to drive and inform change, whilst being brave and courageous in taking risks, investing resources and making things happen. Aico’s stand will focus on its new 3000 Series, which offers fire and carbon monoxide detection, providing whole property coverage from one series. The Series includes Aico’s first Multi-Sensor Heat and CO alarm. 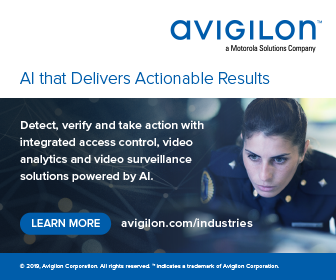 All alarms in the series feature Aico’s latest technologies, including AudioLINK data extraction and SmartLINK wireless interconnection and whole system data monitoring. Aico is also a key sponsor. The company has also sponsored the Housing Festival, a part of this year’s TAI event for the first time. Aimed at front-line staff, the Festival addresses real housing practice and practical ways to improve housing. A welcome speech will be from Aico’s Regional Specification Manager for Wales, Dan Thomas. At Cardiff will be one of Aico’s Mobile Training and Demonstration Units. That features information boards on all the firm’s technologies, such as AudioLINK data extraction, and alarm ranges with fully functional product attached, plus a virtual video tour of the company’s manufacturing process in Shannon, Ireland. Staff on board will offer visitors advice on fire and CO alarm specification, installation and maintenance.